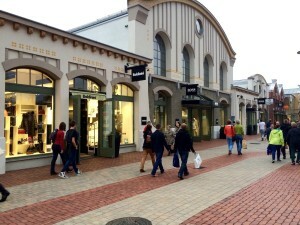 Recently, we decided to go for a Saturday shopping in the Ingolstadt Village Outlet. 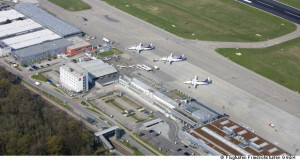 The Ingolstadt outlet is reportedly one of the best in Germany. 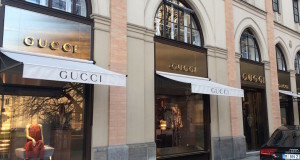 Of course, there is no problem with shops in Munich; there is a choice for every taste, from department stores to chic boutiques. 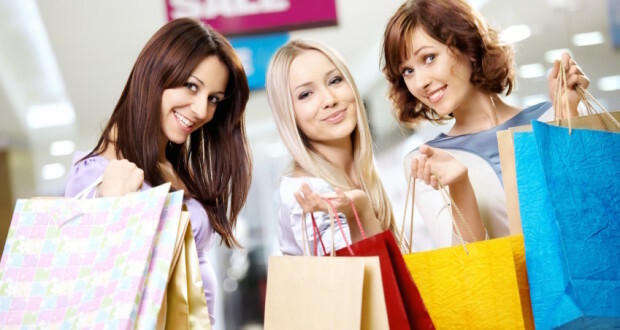 However, outlets have some advantages: first, the compactness of retail space with a large selection of brand-name stores, and second, significant discounts on brand-name merchandise. At first we wanted to go by train, but that would have involved transfers. 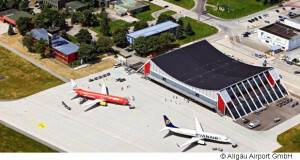 We were then advised that a special bus (Shopping Express®) goes to the outlet from Munich. 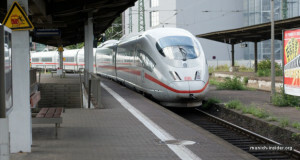 We had booked the tickets (15 Euros each) on Friday evening, and on Saturday morning at 9:30 am departed from the main train station (Hauptbahnhof) on a comfortable bus to Ingolstadt. By the way, there is no problem to go there by car either, because there are more than 1,000 free parking spaces at the outlet. 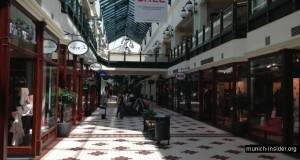 After about an hour bus ride, we arrived in this so-called fashion village with more than 110 brand-name designer stores. It is a huge shopping mall, only without a roof; the “village” consists of well-groomed streets with very neat houses in the Bavarian style. Signboards of prestigious brands are everywhere the eye can see. Here you can find brands such as Hugo Boss, Roberto Cavalli, Versace, Valentino, Calvin Klein, etc. It looks like that they have everything for every taste. Many signs advertise discounts: sales 30%-60% off. 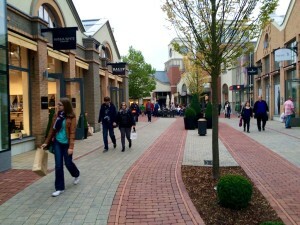 One would need the whole day to browse through all the boutiques in the Outlet. We did not have that much time, because we had to catch the return bus at 3:30 pm. However, we still did quite a decent shopping tour in a few hours we were there. We decided that next time we would go by car. After satisfy our shopping “hunger”, we got into «San Francisco Coffee Shop». We had some sandwiches with coffee, exactly what we needed after a few hours on foot. The road back to Munich took a little longer than in the morning, because the autobahns are often busier towards the evening. Yet, by 5 pm we were back in Munich. By the way, the customers who reside outside the EU can have the value-added tax (VAT, 14.5%) on purchases returned, though not right away. With every purchase, you need to ask the sales person for a special VAT refund form. You will have to show this form along with receipts at the airport.